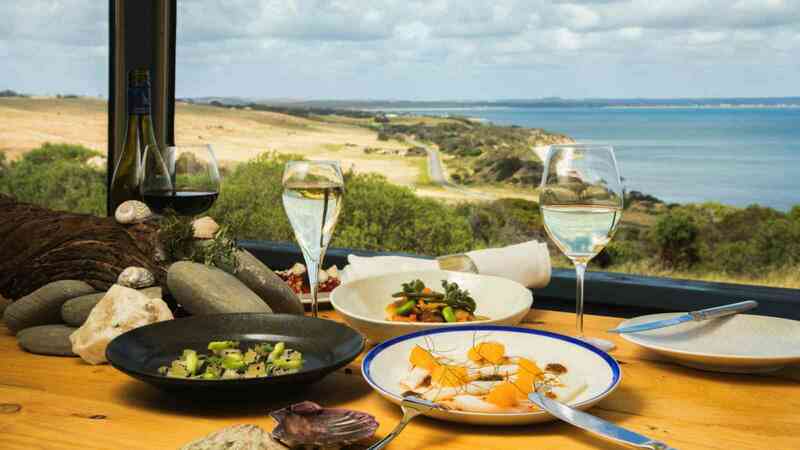 Satisfy your senses with our 2 Day Food, Wine and Natural Wonders of Kangaroo Island tour visiting local boutique industries, sampling their amazing food and wine, as well as seeing some of the incredible natural attractions Kangaroo Island is famous for. 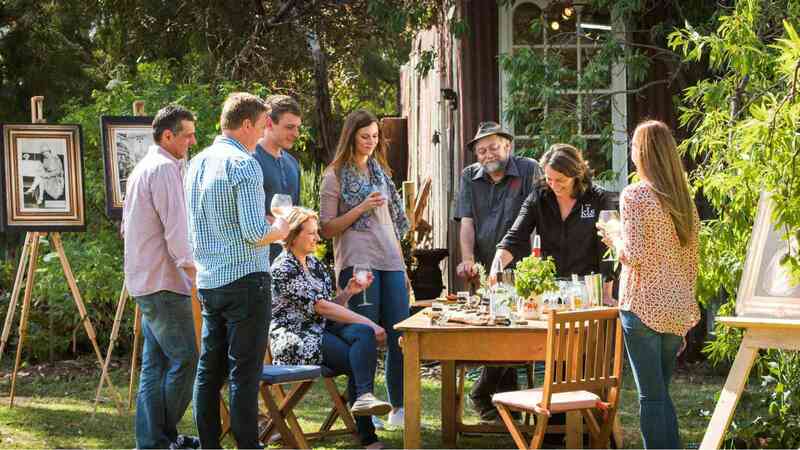 Taste your way through Kangaroo Island. Visit the popular Dudley Wines and enjoy an interactive wine tasting of their delicious wines, all the while admiring the magnificent views from this clifftop cellar door. Discover the local successful honey industry at Island Beehive. See the bees, learn about the extraction process and taste the honey flavours produced there. Visit Kangaroo Island Spirits (KIS), a boutique distillery specialising in handcrafted premium Australian Spirits, including gin, vodka and liqueurs. Then it’s on to the western end of the island and Flinders Chase National Park. 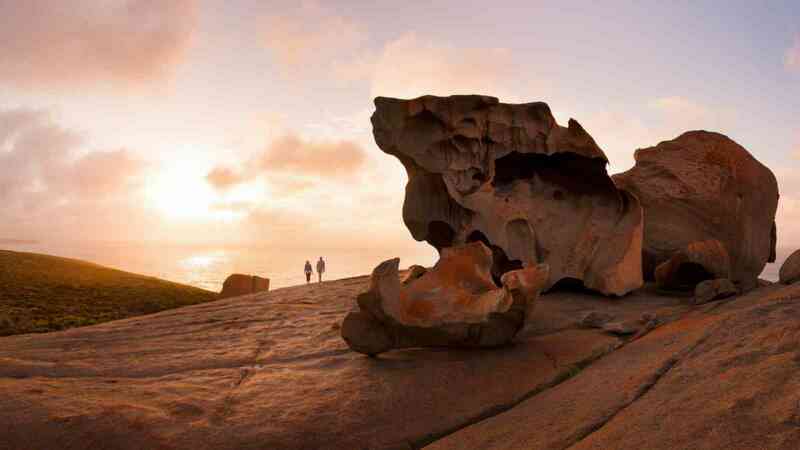 Enjoy a glass of champagne as you take in the sunset over Remarkable Rocks before returning to Kangaroo Island Wilderness Retreat, where you will enjoy a two course dinner with the group before retiring to your room*. Explore the Natural Wonders After breakfast, enjoy breath-taking views and coastal scenery as you are taken for a walk around Admirals Arch and Remarkable Rocks. At Kelly Hill Conservation Park, you will be escorted underground to explore one of the largest caves there. 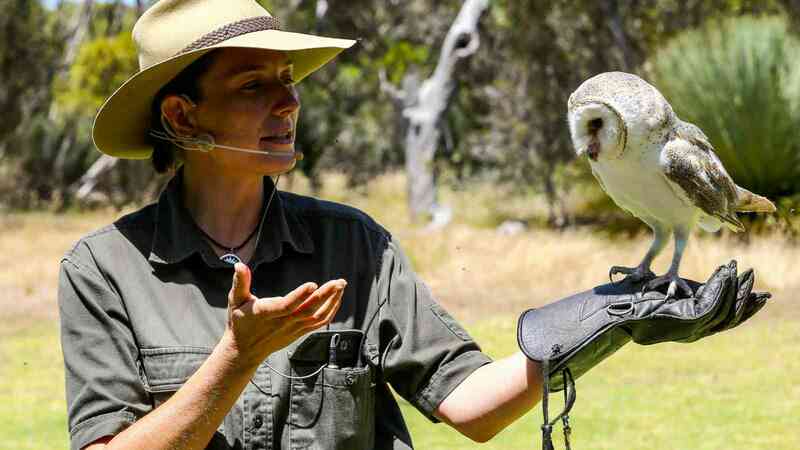 Sample Kangaroo Island produce at lunch, then it’s an amazing experience at Raptor Domain, where the birds are flown to display their individual flight and hunting characteristics in the In-Flight Birds of Prey Display. Head to Sunset Food & Wine for dinner and enjoy elevated 180 degree sea views of Eastern Cove and beyond as you relax with a glass of wine and your mouthwatering two course dinner, featuring local and regional produce. After dinner, return to the Penneshaw Terminal for your ferry and coach transfer back to Adelaide. *NOTE: From October – March (Daylight Savings), you will have dinner at the hotel prior to travelling to Remarkable Rocks for the Champagne Sunset experience. From May to August, the 2 course dinner on day 2 will be at Penny's Restaurant at the Penneshaw Hotel. 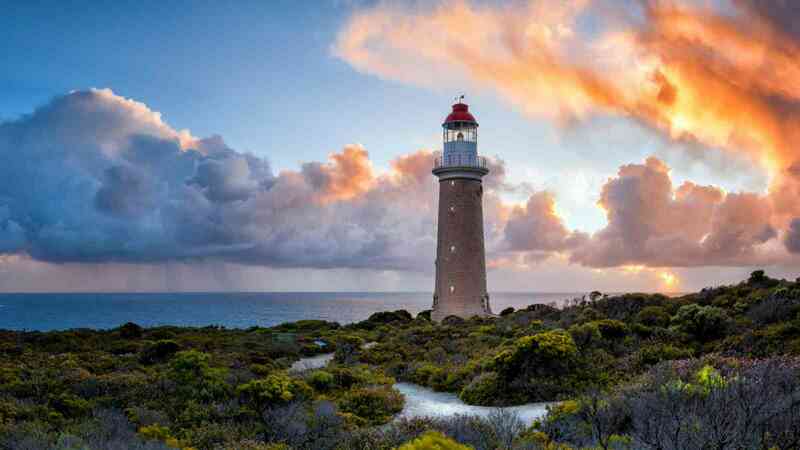 Book this option if you would like return ferry and coach transfers from Adelaide to Kangaroo Island and to stay in an eco lodge room at Kangaroo Island Wilderness Retreat. Tour departs at 6:45am from selected Adelaide and Glenelg hotels, returns at 10:40pm on the second day. Book this option if you would like return ferry and coach transfers from Adelaide to Kangaroo Island and to stay in a courtyard suite at Kangaroo Island Wilderness Retreat. Prefer to depart from Penneshaw on Kangaroo Island or looking for another option? Please fill out the form below and one of our Reservations Team will get back to you shortly.